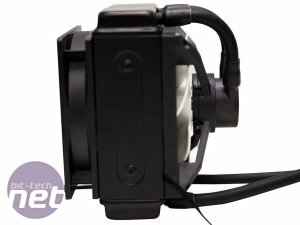 Of all the companies that have jumped on the all-in-one liquid cooler band wagon in the last few years, Corsair and Antec have usually been the ones to beat. 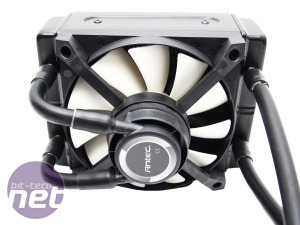 Antec has ruled the roost for a while with its great software suite and awesome cooling and the Kühler H2O 920 held the top spot until Corsair's Hydro H80i and SilverStone's Tundra TD03 turned up. With the Kühler H20 920 now going end of life, its replacement, the Kühler H20 950 looks to fill its shoes. Like its predecessor, the Kühler H20 950 is a dual fan-wielding beast with a 50mm-thick radiator. However, where the Kühler H20 950 differs from pretty much any all-in-one that's gone before it is the location of the pump. 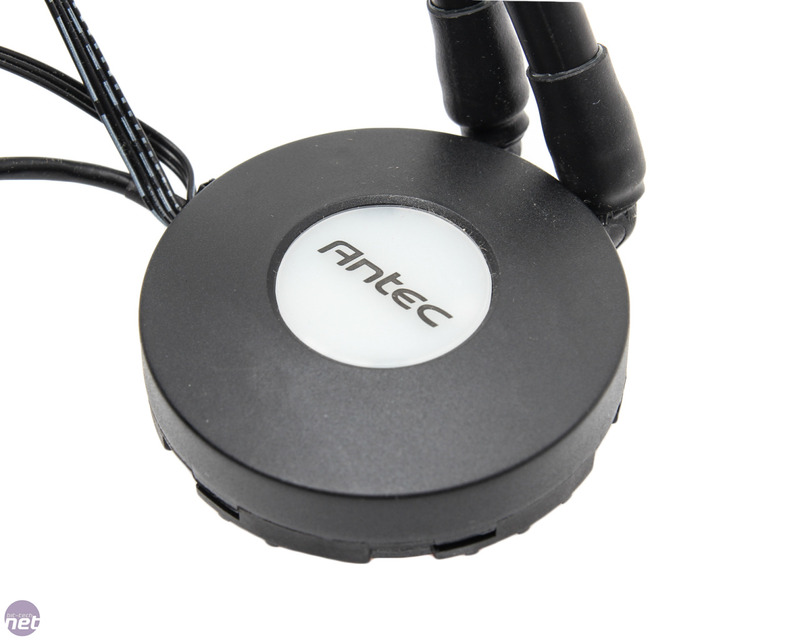 Instead of sitting on top of the waterblock, Antec has chosen to place the pump on top of the front fan bearing. It's a slightly bizarre decision as the radiator is usually the one thing that you'll have issues installing seeing as the waterblocks on all-in-one liquid coolers are usually so small. 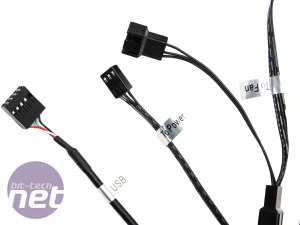 However, it shouldn't make much difference to cooling seeing as the coolant temperature tends to equalise fairly quickly in most liquid cooling loops anyway. That said, there's an awful lot of extra engineering that has to go into creating a radiator with two additional ports and four tubes so we're glad to see the price remains competitive. 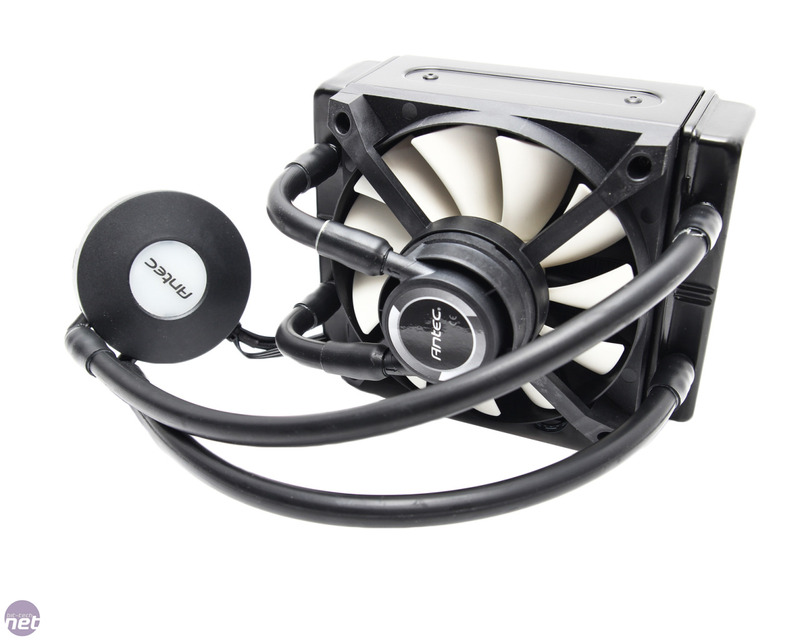 In fact, the Kühler H20 950 is £5-10 cheaper than Corsair's similar H80i. 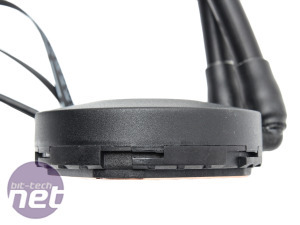 The front fan sports directional blades at the rear (a lot like those on SilverStone's Air Penetrator fans), which Antec claims focus air through the radiator. 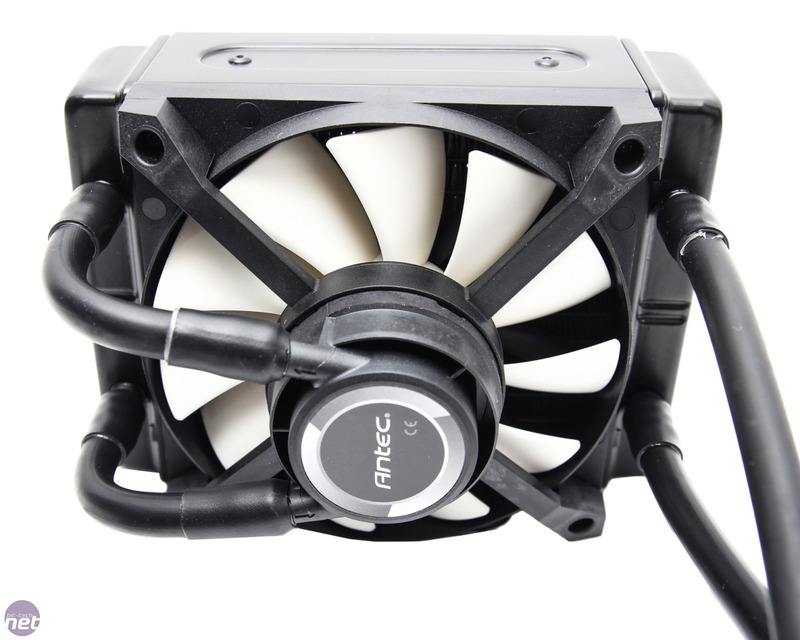 The radiator itself has moderately dense fin packing and is clearly designed to work best with two fans in a push-pull setup. 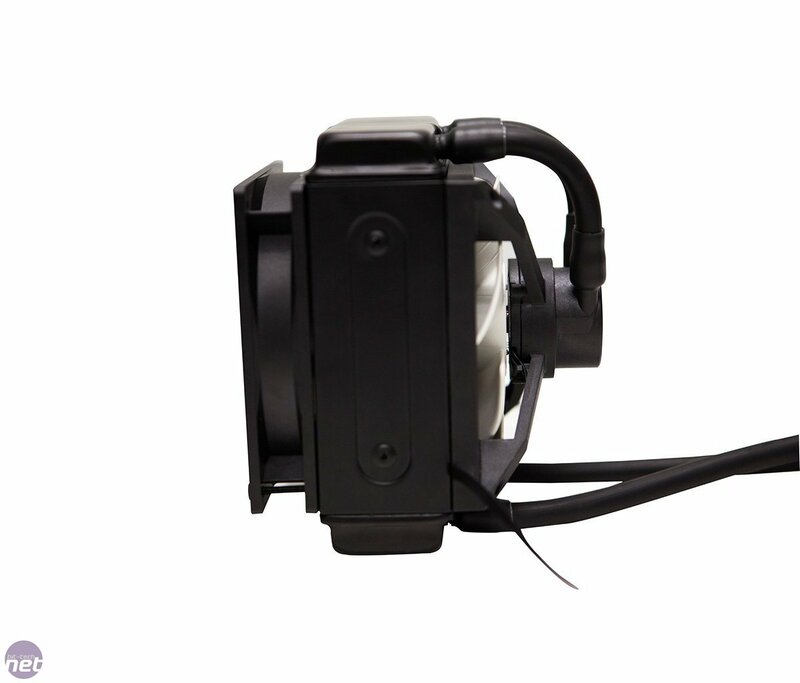 The rear fan is a standard 120mm type but if you're partial to removing the stock fans and using your own premium models, this won't be possible with the Kühler H20 950 as the front fan and pump are essentially a single-piece design. 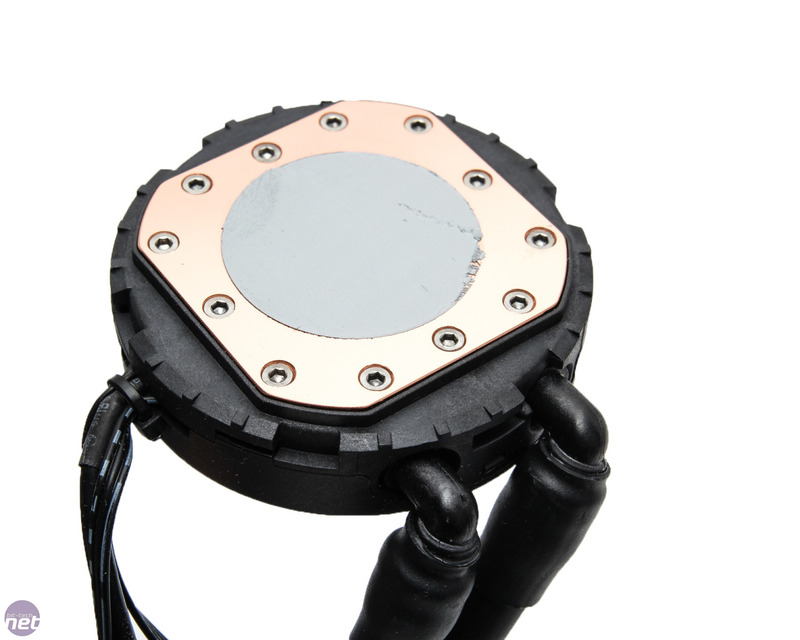 With no pump in tow, the waterblock is exceptionally thin. However, this didn't mean it was particularly easy to fit. 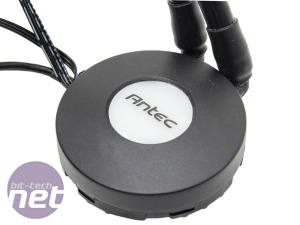 Antec employs a rather fiddly mounting bracket to deal with both AMD and Intel sockets with a variety of sprung pins being used to secure it to the motherboard. 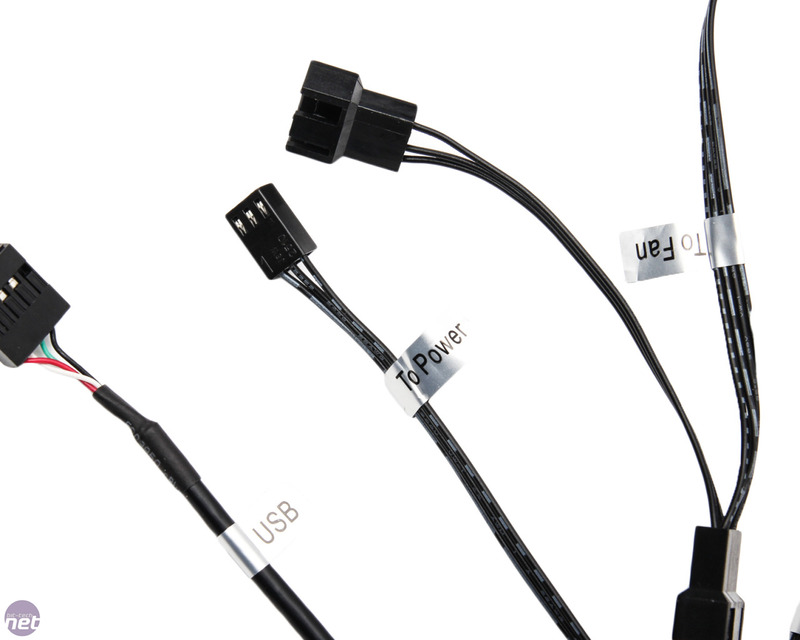 However, securing these was easier said than done; we're not usually inclined to deduct too many points here for the simple reason that you only fit your cooler once even in a span of several years. Needless to say, if you struggle for patience, Corsair's current coolers are less inclined to have you in fits of rage. 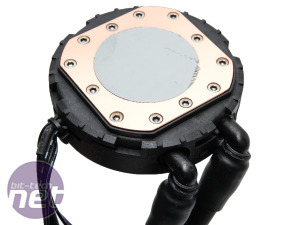 The centre of the waterblock illuminates depending on how toasty your CPU is. 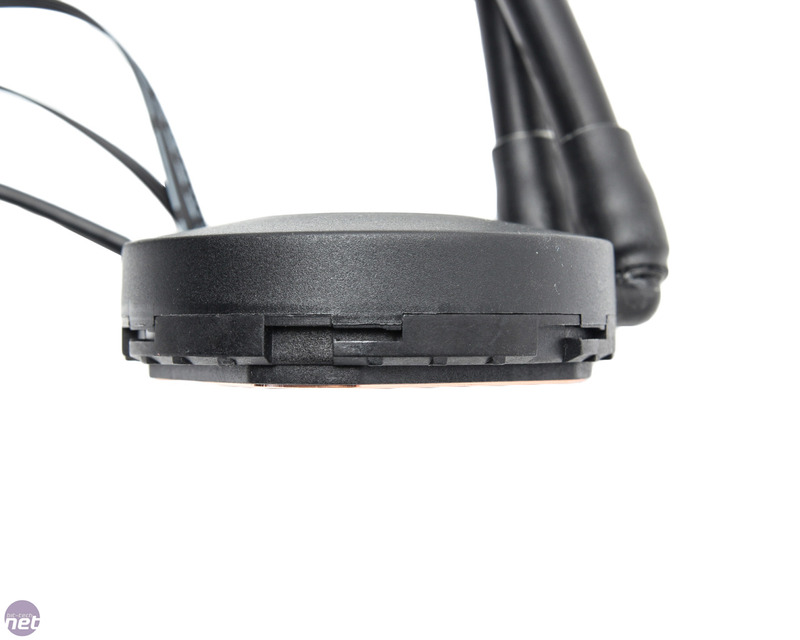 As with the Kühler H20 920, there's a bundled application that allows you to set a user-defined, extreme or silent fan profile. Out of the box, we doubt anyone with a modern system won't be able to use the Kühler H20 950 as its compatible with everything from LGA775 upwards on Intel motherboards plus AMD Socket AM2 upwards as well, including Socket FM2. Designed for the more compact case.